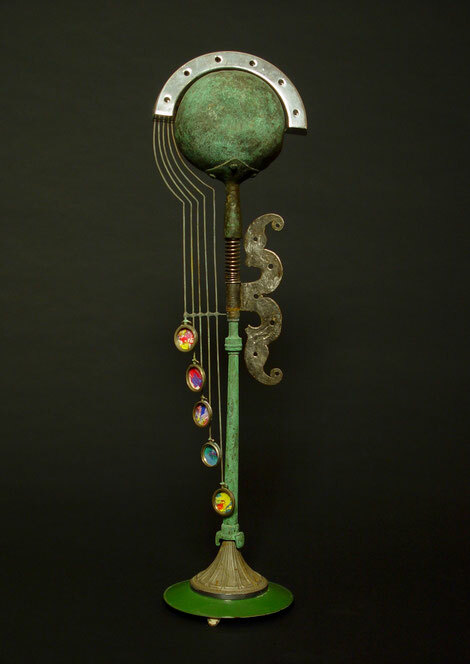 This represents a "transition piece" for me, one of the first forms I made that wasn't intended to become a lamp. Instead, it functions more successfully as a light sculpture, a direction I have mostly pursued since. Also represented here is the aesthetic notion of "asymmetrical balance". This sculpture is asymmetric on the Y axis but balanced overall. It was completed in 2004-2005 but still represents a favorite piece of mine to this day.